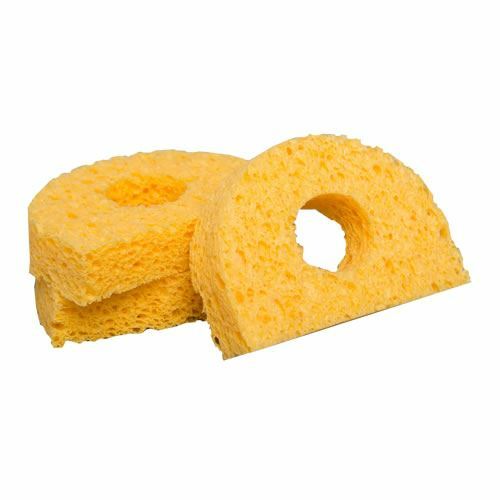 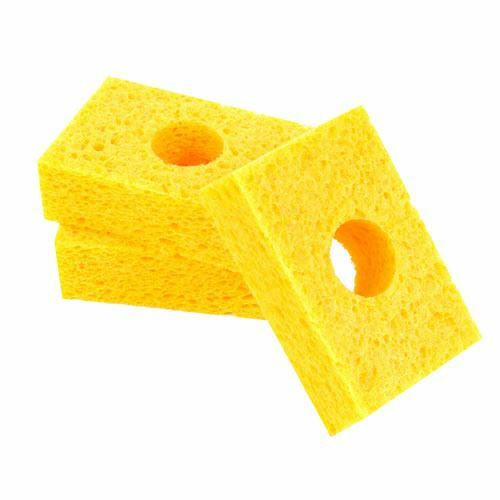 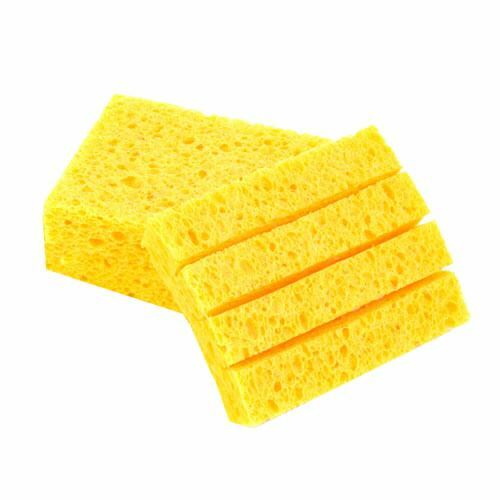 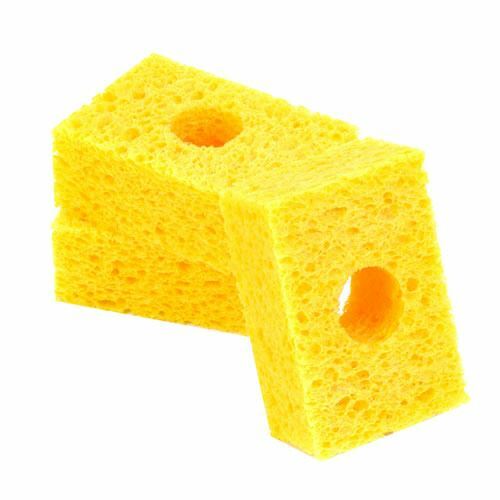 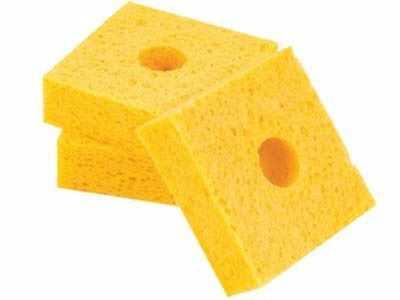 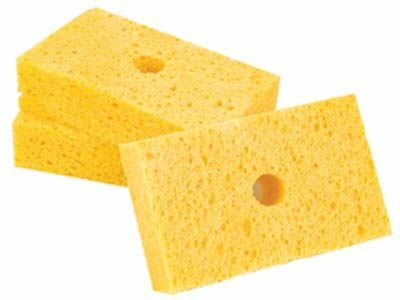 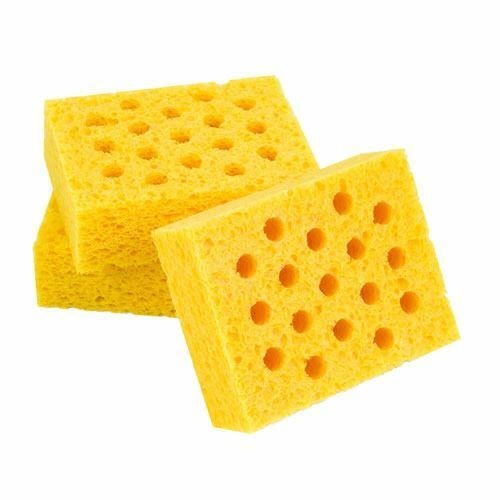 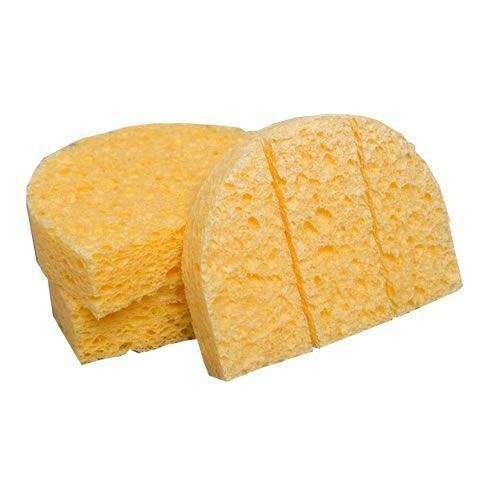 Plato® sponges are manufactured with pure cellulose (a wood derivative) which has the ability to absorb many times its weight in water. 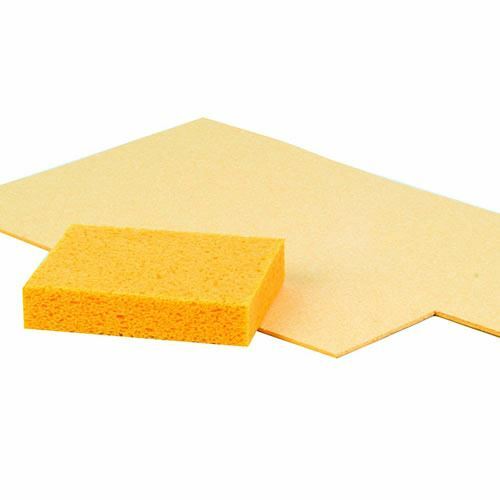 Also resistant to abrasion and tearing forces that occur during the tip wiping process. 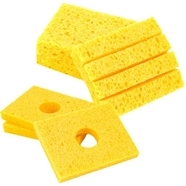 Cellular structure is designed to expand when wet, and retain water for long periods of time. 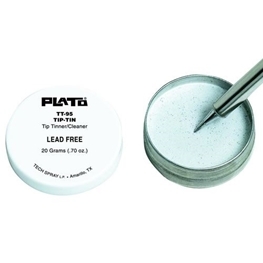 Meets ANSI (J-STD-001B) for low sulphur content and fine porosity.